All orthopedic intervention is designed to preserve or enhance musculoskeletal function. Some problems such as stroke, spinal cord injury, congenital limb deficiencies or maintaining professional level sports function, interact strongly with total body function. 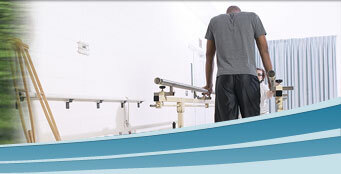 The Orthopaedic Rehabilitation Association was created to facilitate the interaction of orthopedists interested in treating such complex patients while maintaining and improving quality and value. Jacquelin Perry and Vernon Nickel were two giants in this type of treatment. The resident or fellow must be the primary author of the previously unpublished award paper. Winning these awards does not constitute publication. The Perry award will be a competition of residents in the Philadelphia area while the Nickel award will be nationally based. Both have a $1000 prize, but the Nickel will include limited travel expenses. Orthopaedic principles and treatments are of primary interest to the ORA, and interventions maybe either operative or non-operative. The winning papers will be presented by the authors at the annual meeting of the Orthopaedic Rehabilitation Association, October 6, 2018 in Camden, New Jersey. A complete manuscript of the research with illustrations must be submitted electronically to jaconetti-lauren@cooperhealth.edu for Perry or ebmzzz@aol.com for the Nickel. Submissions should follow the format of The Journal of Bone and Joint Surgery. The deadline for submission is August 1, 2018.